After hitting record highs in early August, the Dow Jones and S&P 500 have begun to stumble. As I write this, the markets are off between 3 and 5 percent. Wall Street can call it a “correction” once we hit the 5 or 10 percent mark – there’s no exact rule here. That may sound like a corporate term designed to downplay pain – like referring to massive lay-offs as “right sizing.” And, given the market’s volatility in recent years, investors can be forgiven for wondering whether a correction is the first step off another cliff. So, corrections – widely agreed to be drops of 10 percent over a given period of time – are an important, embedded feature of the stock market. I went back to 1928 and looked at historical market data to find out how often (on average) “corrections” happen. Here are the numbers: The market undergoes a 5 percent correction about every 10 weeks, and a 10 percent correction every 33 weeks. (A true bear market with a drop of 20 percent or more occurs about once every two and a half years) – again these periods of time are “on average”. These events should be respected, but not feared. Think of a correction as circuit breaker. They usually occur when a hot market gets hit with worrisome news – a slower economy, weak sales data, turmoil overseas. Such events cause the market to pause and fall back as institutional and individual investors reassess their positions based on the new information. Such respites are good for the market. You can’t run a high performance car at 7000 RPM for too long without blowing the engine. This market had been going great guns for seven months, rising 20 percent (by early August) without a correction. The result: a mounting sense that the market was growing frothy with overpriced stocks – and still may be as we speak. Corrections also provide smart investors with an opportunity to buy quality stocks at a discount. If markets marched steadily forward every week/month/year, it would always be “more expensive” the longer you wait to enter the market or expand one’s holdings. And despite all the anxiety-inducing turmoil caused by corrections and bear markets, stocks remain the best place to invest for long-term growth. So as long as economies and company earnings continue to grow, so will the stock market. The return for large cap stocks is close to 9 percent on average for the past 90 years. Houses, gold and government bonds all pale in comparison. But the road has been bumpy with two 45 percent plus corrections in the last 13 years. That turbulence isn’t going away. So it wouldn’t surprise me, or worry me, if we saw the market dip a few more percentage points before it rebounds. 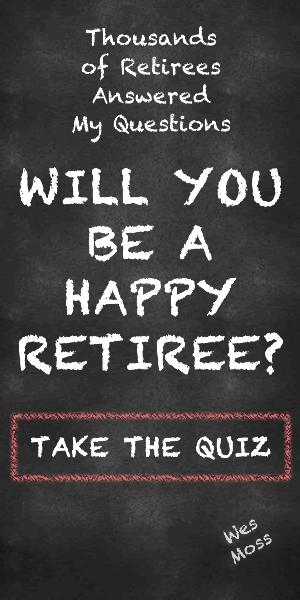 For some retirees, this will be an uncomfortable time, no doubt. Just know that this too shall pass. For younger investors, this is an opportunity. Make the most of it.